After releasing a wildly successful EP, the Fairfield rapper looks to get more "Red Noses" shaking with his upcoming album. 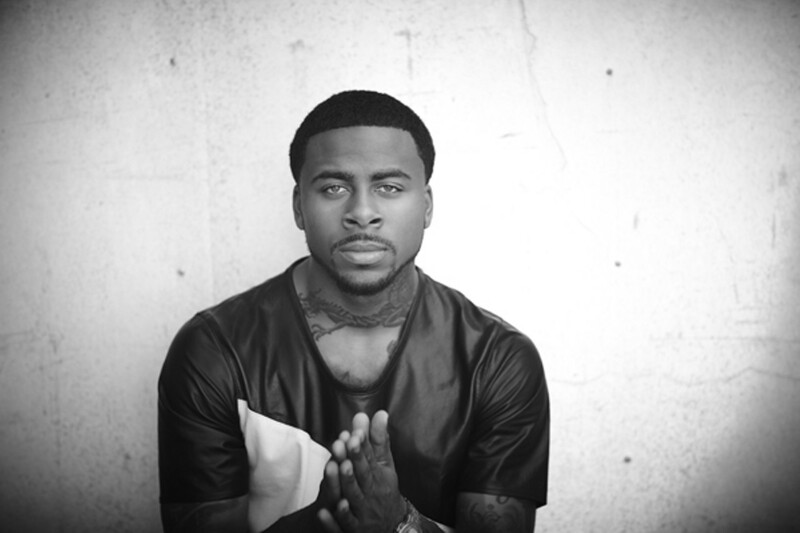 Sage the Gemini's success can be chalked up to the combination of his deep voice and eccentric hyphy beats. It's safe to say that Sage the Gemini (real name Dominic Wynn Woods) is one of the hottest rappers in the Bay Area right now. A couple weeks after he signed a major-label deal with Republic Records in August, the 21-year-old Fairfield resident dropped his first EP, Gas Pedal, which peaked at #29 on the Billboard R&B/Hip-Hop Albums chart. The EP's two lead tracks, the hyphy and swerve-inducing bangers "Red Nose" and "Gas Pedal," both made strong appearances on the Billboard Hot 100 at #54 and #29, respectively, and have garnered more than 35 million views on YouTube. On Spotify, the EP surpassed 10 million plays. The success of Gas Pedal has transformed Sage's life. "I've expanded my fanbase, been to states I've never been to," he said. "I'm able to support my family. I've worked on my stage presence, my music has been getting better, and I'm working on an album, which will be better than the EP." Sage's popularity can be chalked up to the combination of his deep, penetrating voice and his eccentric hyphy beats. But it's also largely the result of his social media presence. Search for #sagethegemini on Twitter's video app Vine and you'll find clips of frat boys and middle-school girls performing gleeful a capella renditions of "Red Nose." There are even more videos of fans twerking and yiking to his songs. Sage also actively maintains a relationship with his fans through Instagram, Facebook, and Twitter. Even though he said it feels like "it's been a million years" since his EP dropped, Sage still hasn't gotten comfortable with his newly attained success. "I'm surprised to be even getting attention like this," he said. "I grew up with not a lot of attention and was a very underrated kid in school, and I didn't really get attention from girls. Nobody really paid attention to me for a while. It's an all-around blessing; I'm still new to this." In fact, Sage is as much a talented producer as he is a rapper. In addition to producing, mixing, and mastering the Gas Pedal EP — tasks he's not willing to let anyone else handle anytime soon, he said — he has also produced numerous tracks for the HBK Gang, of which he's a member, and for R&B singer Omarion. "I don't want to be the person that depends on someone else — if my engineer doesn't show up to the studio, then we don't have a song," Sage explained. "I do it for the independence and because I was forced to. I had to do that because nobody was messing with me back then. I had to build my own studio." 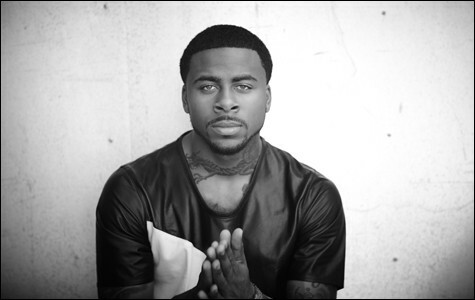 Sage the Gemini was born in San Francisco and lived in Hunters Point until the age of six, when his family moved to Fairfield to escape the neighborhood's crime problems. Sage said he would have ended up dead, killing people, in jail, or on drugs if his family had stayed in the city. He said a crackhead once pulled a gun on him when he was just six years old. "Fairfield was just an-all around better place," he said. "We didn't have to watch our backs all the time. Just to walk the streets and be able to breathe was a relief." However, Sage is quick to point out that he was no angel, either: He described himself as a "little badass" and "stinky kid." He started recording at the age of eleven with his brother after he bought a microphone from Gordon's Music and Sound shop in Fairfield. The first track he ever recorded was called "Made In China." At fourteen he ramped up his hip-hop routine and dropped out of school to pursue music full-time. One of his first collaborations was with his cousin in a group called Tree Boys, a reference to a kick-it spot at Fairfield High School. Sage was eighteen when he first started working on his Gas Pedal EP. That's when he met IamSu!, who had just released his hit single "Up," at a show at 330 Ritch. Sage said he was a bit starstruck by the six-foot-five rap sensation, but soon after that encounter, he became a member of IamSu! 's HBK Gang, which also includes rappers P-Lo and Jay Ant. "He's someone who has a true understanding of what makes people react through music," IamSu! (aka Sudan Williams) wrote of Sage in an email. "They're always teaching and looking out for me," Sage said about his crew. "They're hella smart. They always keeping me from drifting into a negative situation, which could be somebody that's trying to use you." Besides working on his new album, which he said will be released early next year, and planning a corresponding tour, Sage said he doesn't have any major plans; he just prays that the future holds something good for his team. So far so good.